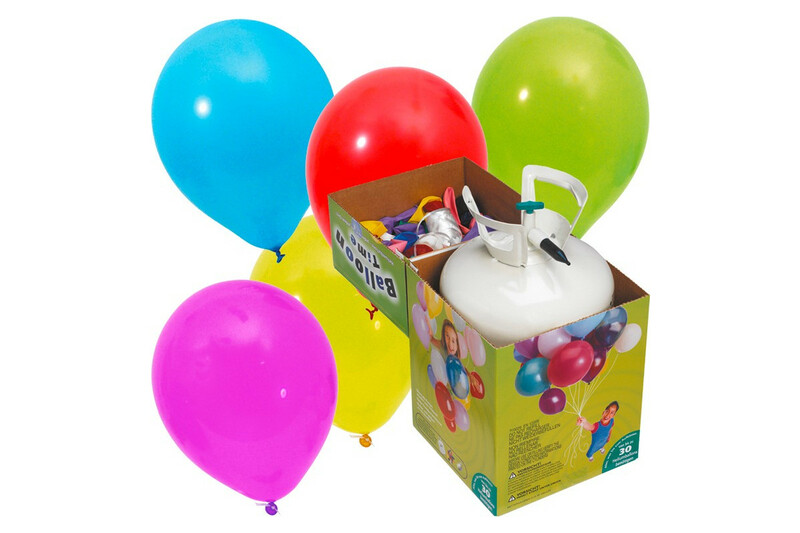 Set includes 1 one-way bottle, 30 multicolored balloons rand tie straps. 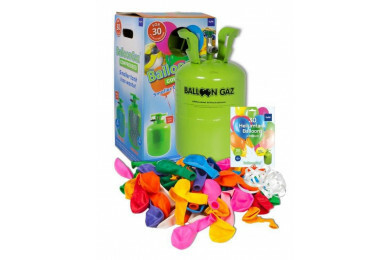 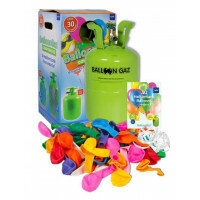 With Balloon-Time helium-kits balloons are easily made for every party. 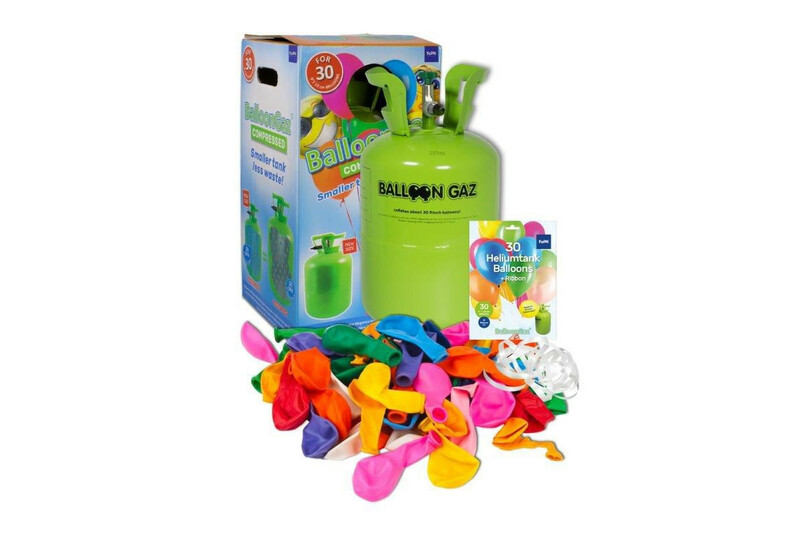 The one-way bottles are filled with nonhazardous gas. 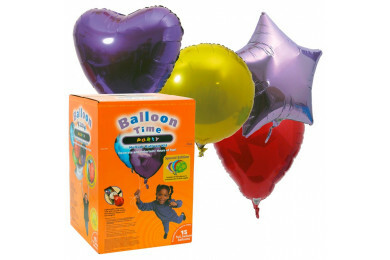 Set includes 1 one-way bottle, 30 multicolored balloons rand tie straps.